“F-cking Sorkin!” is what Duana and I outburst at each other because Aaron Sorkin is impossible. I first wrote about “F-cking Sorkin!” two days after Donald Trump won the US election when Sorkin posted an open letter to his wife and daughter about how bitterly disappointed they were by the result. Most people complimented him for it. And, as I said in that post, I didn’t understand the praise. He opens by calling them “Sorkin Girls”, taking identity away from two women after a night in which a woman was rejected in favour of a man and an incoming administration that has no respect for women. Then he proceeded to mansplain to them all the problems of the world and declare himself their protector, as opposed to their compatriot. Which totally makes sense when you read about his latest “F-cking Sorkin!” moment. Aaron Sorkin had some burning questions about the lack of diversity in writers’ rooms — an issue that he apparently didn’t know much about until he visited the Writers Guild Festival on Saturday inside the Pickford Center for Motion Picture Study in Hollywood. I’m not sure I believe it’s genuine. You’re telling me Aaron Sorkin, F-cking Sorkin!, who works in Hollywood, completely missed out on #OscarsSoWhite? REALLY? If that’s true then it doesn’t make him innocent, it makes him ignorant. Ignorant by privilege. 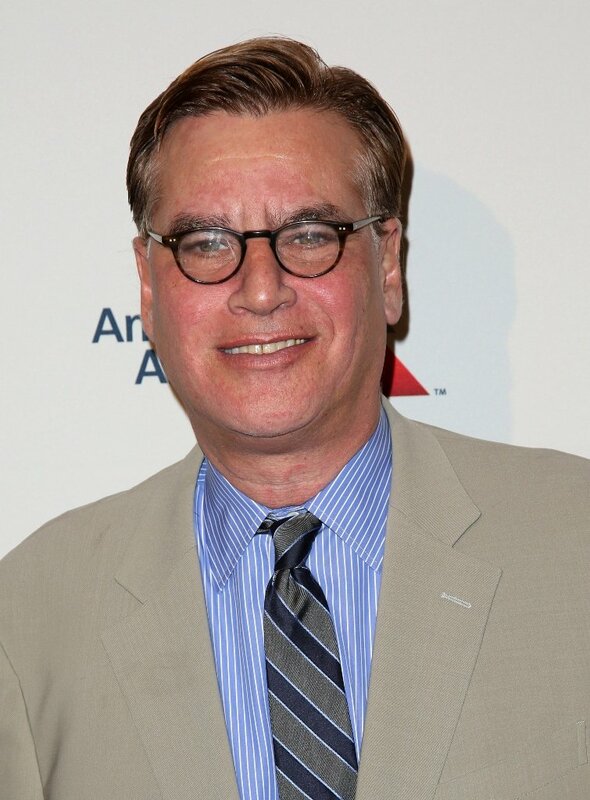 How fortunate it must be to be Aaron Sorkin then, blissfully bubbled off in a place where he’d be completely naïve to the fact that there’s a gender pay gap in his industry, that women and people of colour have not had their stories told, that white men are the predominant decision-makers and storytellers…while claiming to be an observer of the world. Because isn’t that what a writer at least aims to be? Someone who observes the world? WHAT WORLD?, Aaron Sorkin? Because I don’t think Aaron Sorkin is “genuinely troubled by his lack of awareness”. Rather, I think he’s been repeatedly called out for his creative myopia, specifically related to how he writes women, which speaks to how much of a voice (or how little) women get in his creative process. And so, as the “lesser” of two evils, perhaps he would rather claim ignorance than have to address exactly why women and people of colour don’t get a more realistic, more full-bodied voice in his projects? Perhaps in his mind, in this case, saying “Oh I didn’t know, I am privileged and need to do better” is less gross than saying “Well, yeah, to be honest, I just care about stories about white guys and women I fantasise about”? Either way, he doesn’t win. He’s either not listening, and therefore not learning, or he’s deliberately advancing a narrow narrative that benefits himself. 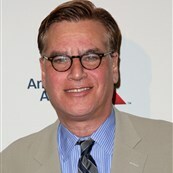 You can decide which F-cking Sorkin he’s being here.